Brexit is a big worry for businesses as well as organisations in the public sector. As I write this piece, news has just been released that 70 business leaders have signed a letter advocating a ‘People’s Vote on Brexit’ because of the economic impact of “a blindfold or destructive hard Brexit”. There is already a shortage of skilled labour and increasing competition for good people. Indeed some have put Brexit teams in place, or made a new senior appointment to lead Brexit planning. Recruiting the right people who want to stay is really difficult for some employers. The rise of internet shopping means that finding delivery drivers is hard, let alone finding ones who are reliable and who give great customer service. The global shortage of nurses is putting such a strain on the NHS that they have needed to recruit from all over the world for a long time. Care businesses often find that they lose candidates who are lured, by an extra pound or two an hour, either by another care provider or even by supermarkets or coffee shops. Employers have long struggled to find people who will be a great fit (but who don’t know it so don’t apply) or traditionally wouldn’t be attracted to the particular role on offer. Brexit has made it harder. 40% of employers surveyed by the Chartered Institute of Personnel and Development (CIPD) in the third quarter of 2018, for their Labour Market Outlook study of 2000 organisations, reported that recruitment pressures have increased due to a combination of fewer applicants and less suitable applicants. With the number of unemployed people at a record low (1.7 people per vacancy) and predicted to reduce further as the supply of labour from the EU reduces – as a result of EU workers leaving the UK and employers holding back on recruiting from the EU in the run up to Brexit – enormous strain is being felt to find the right candidates for roles. Some employers rely heavily on EU workers to keep their services running. The NHS, the care sector in general, hospitality and retail have been struggling with recruitment and retention for many months because of EU workers leaving the UK coupled with the UK being viewed as a less attractive place to work for migrant workers. Competition for talent is stronger than ever. Jon Addison, Head of Talent Solutions for LinkedIn UK, commented that the results of a recent study, carried out by them, suggest that the war for talent is more competitive than ever before. 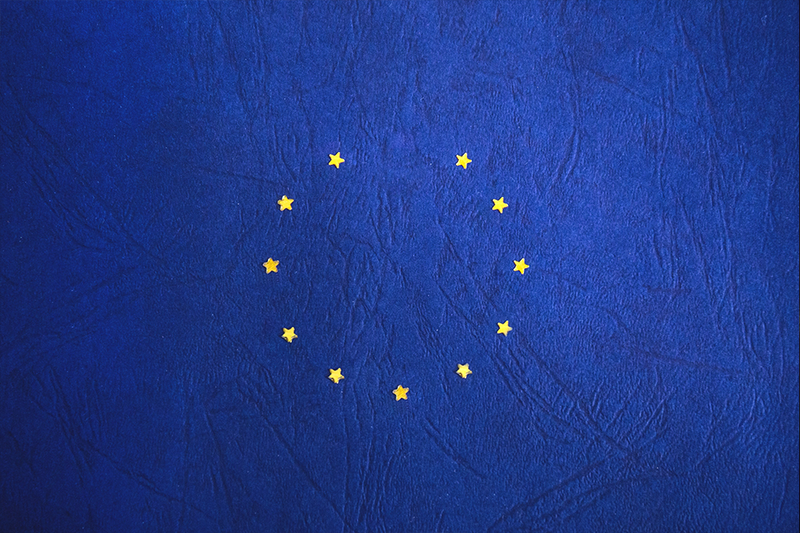 Their Recruiter Sentiment Survey found that 40% of recruitment and HR professionals believe that availability of talent has become an issue after the decision to leave the EU. This research by LinkedIn UK revealed that almost half of those responsible for recruitment believe that working in the UK is now less attractive to applicants from the EU. 28% said the UK was losing its appeal for candidates from the rest of the world. The surge in British passport holders acquiring the nationality of another EU country since the 2016 referendum could also potentially contribute to a talent shortage. I hear more and more educated UK nationals saying they would like to leave the UK and work elsewhere, and many who can claim other nationalities in their family history (e.g. Irish and German) are applying for non-UK passports. In 2017 a total of 13,141 UK citizens obtained the nationality of one of the 18 EU member states. This compares with 5,056 in 2016 and 1,826 in 2015. A mis-match between people and jobs is a cause of low productivity growth. A 2015 OECD report Skills Mismatch and Public Policy cites evidence that a relatively high proportion of UK workers are mis-matched to their jobs and this is partly the cause of relatively weak productivity growth. A large part of our work at Engaging Minds is understanding what kind of person is a good fit for a given role, so that our clients can be sure to select the right people who love what they do, perform well and stay. We certainly find that there are lots of good people who are unhappy in their jobs simply because they are not a good fit. Traditional recruitment strategies are not delivering results. According to the CIPD’s Resourcing and Talent Planning Survey, 60% anticipate that, as a result of Brexit, they will experience difficulty in recruiting senior, skilled and technical people and 40% think they will struggle to hire operational staff. There seems to be low confidence in traditional recruitment strategies. The CIPD is recommending that the UK Government consider a labour shortage occupation list to ensure that employers can recruit non-UK workers to jobs where there is a shortage of skilled workers. They are also recommending support hubs where small to medium size enterprises can get help to improve their management capability. Whether they agree there is a Brexit recruitment crisis or not, what Government can, or wants to do remains to be seen. I wouldn’t advise any of my clients to wait and see! The issue is too important and is becoming urgent, if it’s not already. This is all sounding very bleak. But, I believe there is potentially a silver lining in this very dark cloud. What can struggling employers do? Interestingly, the answer lies with the organisations who have already been on a mission to increase the diversity of their workforce. Why? Because to achieve more diversity they have had to find new sources of talent. They’ve had to remove unconscious bias against these ‘different’ types of candidates. They’ve had to find a way to truly see the candidates’ capabilities (I’ve never heard anyone say that the competency-based approach to recruitment makes this possible, by the way). They have also had to understand what it takes to do a job well, because without that understanding they are never going to be sure that they can find someone who will succeed in it. All this has meant getting rid of pre-conceived ideas of what a good candidate looks like, it has meant tapping into talent pools of people who might have previously thought they wouldn’t stand a chance of getting the job, and it’s meant taking a rigorous and fresh approach to selection – a strengths-based approach. What results have others had? Our experience shows that when you take a strengths-based approach you know what great looks like, you can segment your approach to attraction and can tap into new talent pools and different geographies. The end result? A diverse group of recruits who are a good fit. One of our clients had exceptionally high staff turnover. They didn’t know what good looked like and they had a revolving door of staff leaving which was costing millions. We implemented our strengths-based recruitment approach and not only did turnover half within six months but they started to attract a whole new group of talent – ex-servicemen and women who would never have dreamt of applying for the job, but whose attention was grabbed by the description because it sounded like them. Watch the client talking about it at minute 1.22 in this short film about how strengths-based recruitment helps with diversity. Another client wanted its employee base and its leadership to better reflect the diversity of its client population. The majority of its leaders were white men over the age of 50. We worked with them to introduce strengths-based selection for their leadership development programme and it achieved their diversity targets immediately. It’s obvious when you think about it. If you know what great looks like and you just focus on what the person is like then diversity takes care of itself. This could be a good opportunity. Do you struggle to recruit good people who stay, and could that get worse after Brexit? Do you know what great looks like, in your key roles? Do you have as diverse a workforce as you’d like, to help you meet the challenges you have in the future? It will give you a clear idea of what a great candidate is like so that you are confident in your selection decisions. It will bring you more diversity because it cuts through unconscious bias. It will mean you attract people who would never previously have been drawn to the roles you have on offer. You’ll be able to retain people in those hard-to-fill roles by valuing them for their strengths and appealing to their motivations. So, in the face of the Brexit recruitment crisis, there could well be a silver lining for those organisations that see it as an opportunity to do something new and different. The number of EU nationals registering as nurses in England has dropped by 92 per cent since the June 2016 referendum. Trusts are dreading the loss of even more EU nurses and doctors and more British pensioners living in the EU return to the UK and needing care from the NHS (source Health Business Magazine). One in every six care worker roles in the UK is filled by carers from outside the UK. As demand for care workers increases because of the ageing population, England will experience a shortfall of 380,000 workers by 2026 (source think tank Global Future predicts, using Office of National Statistics data). Britain’s survey sector is increasingly struggling to find enough workers. Fewer EU workers are coming to the UK. A survey by the Chartered Institute of Procurement and Supply for the services industry – which accounts for almost 80% of economic output – suggests that companies in transport, communications, banks hotels and restaurants are being affected by the labour shortage. According to the findings of a 2018 YouGov survey, around 330,000 staff currently working in the UK hospitality industry are considering leaving the UK due to Brexit, which could result in a severe shortage of staff.